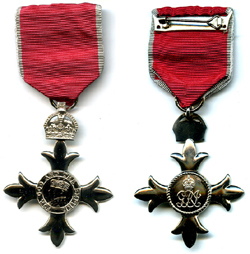 There were three dance-related citations in the December 2014 New Year Honours list, of a total of 1,164 honours. Jeanetta Laurence, Associate Director of the Royal Ballet has been awarded an OBE for services to dance, Marguerite Porter, Director of the Yorkshire Ballet Summer School has been awarded an MBE for services to ballet and Janet Smith, Principal of the Northern School of Contemporary Dance has also been awarded an MBE for services to dance. Jeanetta Laurence works closely with the Director of the Royal Ballet Kevin O’Hare, and was formerly a dancer with the company. 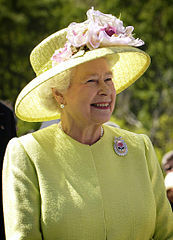 During her time there she has worked alongside former directors Anthony Dowell, Ross Stretton and Monica Mason. Laurence is also a Trustee of the Frederick Ashton Foundation, which exists to perpetuate the legacy of the Founder Choreographer of the Royal Ballet, and of the Royal Ballet Benevolent Fund and the Benesh Institute Endowment Fund. Laurence has worked for the Royal Ballet for over 46 years and will retire in June 2015. Marguerite Porter, Director of the Yorkshire Ballet Summer School, is a British ballet inspiration. She joined the Royal Ballet aged 17 and has even partnered ballet legend Rudolf Nureyev during her career. Porter’s ballet life has been full of iconic and memorable moments, and it now finds her at the helm of the Yorkshire Ballet Summer School. She took over as Director in 2005 having danced with the Royal Ballet company for 20 years. Following this period she remained with company for three further years as a guest artist. Janet Smith left her position as Artistic Director of Scottish Dance Theatre in 2012 to become the current principal of the Northern School of Contemporary Dance. Northern School of Contemporary Dance is a unique dance training institution offering a select group of students the opportunity to develop and excel as dance artists in a conservatoire environment. The Queen’s birthday honours recently recognised a multitude of talent in the awardees: actors Daniel Day-Lewis and Maggie Smith were recognised in the honours list, which also sees Young Vic artistic director David Lan and English National Opera’s John Berry honoured. The arts faired well as Day-Lewis was made a knight, and Smith was made a Companion of Honour. Among those awarded CBEs were the Young Vic’s Lan and Berry, artistic director of the ENO. 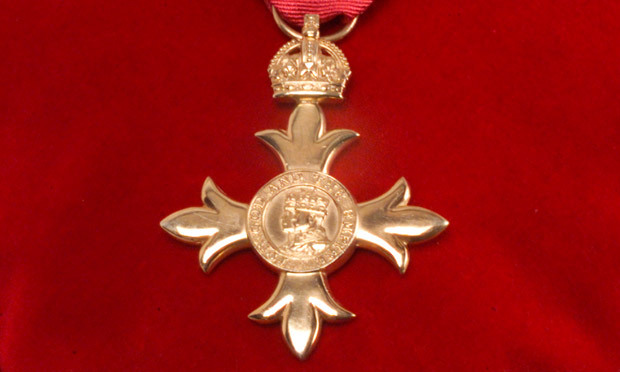 Choreographer Michael Clark, soprano Susan Bullock and Pauline Tambling, joint chief executive of training body Creative and Cultural Skills, also received a CBE. Others receiving recognition for their services to the arts include pianist Andras Schiff, who was made a knight, and Angelina Jolie, who was awarded an honorary damehood. Hilary Mantel, author of Wolf Hall and Bring Up the Bodies, the stage versions of which have just extended their run in the Aldwych Theatre, was made a dame. OBEs were presented to actors Damian Lewis and Phyllida Law, lighting designer Patrick Woodroffe and composer Talvin Singh. Other recipients included Mark Featherstone-Witty, the founding principal and chief executive of the Liverpool Institute for Performing Arts, ex-director of the UK Foundation for Dance, Namron Yarrum, talent agent Jonathan Shalit, and Nisha Tandon, executive director of Northern Ireland’s only full-time ethnic arts and culture company. Theatre figures recognised with MBEs included John Barrowman for services to light entertainment and charity, choreographer Rosemary Butcher, playwright and founder of the Identity Theatre School Femi Oguns, producer Judith Dimant for her work with Complicite, and theatrical wig designer Angela Cobbin. Also receiving MBEs were the former joint chief executives of the Askonas Holt agency, Martin Campbell-White and Robert Rattray, conductor and artistic director of the Leeds Symphony Orchestra, Martin Binks, and Maria Friend, director of the Trinity Laban Conservatoire’s junior department.